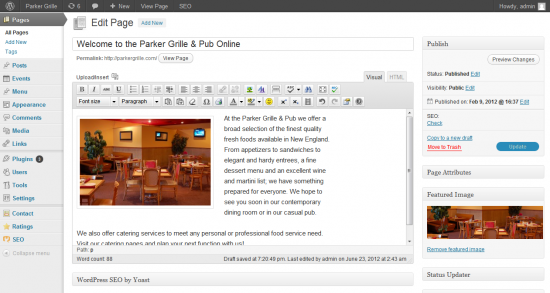 WordPress is a free and open source blogging tool and a dynamic content management system (CMS) based on PHP and MySQL. It has many features including a plug-in architecture and a template system. WordPress is used by over 14.7% of Alexa Internet‘s “top 1 million” websites and as of August 2011 manages 22% of all new websites. If you’re familiar with the phrase PSD to WordPress, we have to say is you won’t be disappointed. We are an advanced development team thoroughly versed in WordPress theming, so if your designer is doing a photoshop psd for WordPress we will take the time to speak with them to fully understand the design’s UX (user experience), and make sure the code comes out working exactly as intended. We have many clients approach us describing the awfulness of their old system, or the fact that they are frustrated with their website because they can’t easily change or update content. The beauty of the WordPress CMS is that we can train anyone within just an hour or two, and after that any business owner or designated site admin knows exactly how to quickly jump into the site and change ANYTHING they like. New content, new phone number, deleting expired information. We guarantee ANYTHING our clients express they want to be able to control, they will be able, all with the convenient WordPress back-end tools. “What you See is What You Get” – this is the driving concept that enables our clients and their web admins to easily add new content to their website. The fact is anything you put on your website, is code, but WordPress’s WYSIWYG editor make it so its easy for you to type as if you were using any Document editor such as Microsoft Word, to create content. Adding images with WordPress is a DREAM. We almost never have to use Photoshop to alter the cropping or size of an image anymore when we are adding photos to our sites or our client sites. WordPress automatically resizes images, based on the instructions we code into a given site’s theme, and makes every size we could possibly need available- for every single uploaded image. 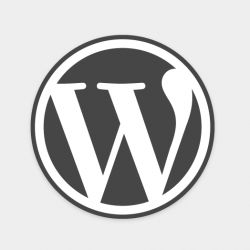 What makes getting a WordPress site from us is easy to understand. We understand the WordPress CMS’ incredible breadth of flexibility, and knowning what is possible means we know how to develop themes with customized functionality suited for each client’s needs. We also have a great package of plugins that all of our sites come with that work together to create an incredibly powerful back-end management tool. Some plugins we’ve even improved to do exactly what we need them to do.